The Demi (French for "half") was a half frame camera with a 28mm f/2.8 that uses ordinary 35mm film but takes two 24 x 18mm exposures on a normal 24 x 36mm film frame. 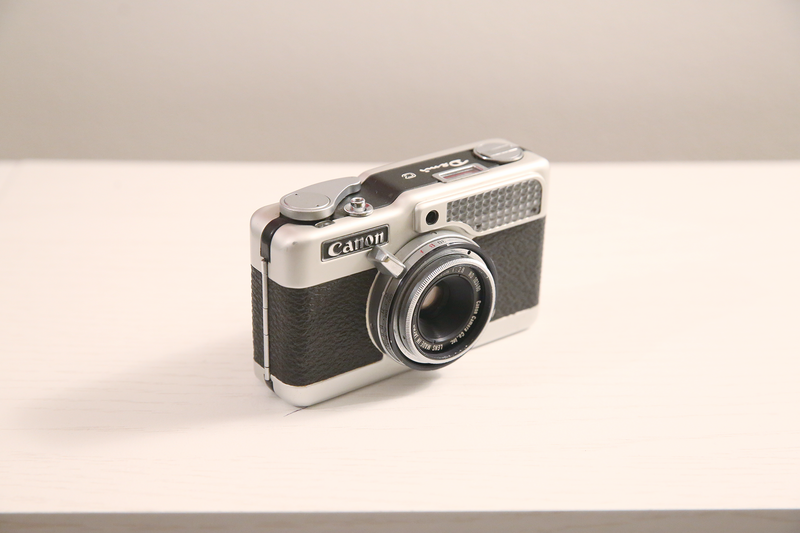 Canon rode the half-frame wave and craze after Olympus introduced its Pen in 1959 and manufactured several Demis, including the C: the original Demi (1963), the Demi S (1964), the Demi C (1965), the Demi Rapid (June 1965), the Demi EE17 (1966) and the Demi EE28 (1967). By that time both Canon and its competitors were looking to make inroads into the SLR scene, possibly explaining this compact format's demise.